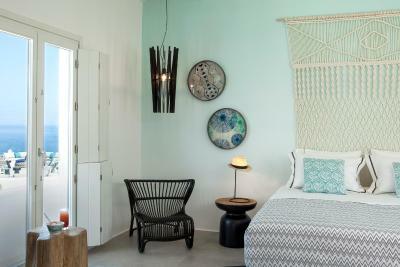 Lock in a great price for Lyo Boutique Hotel Mykonos – rated 9.5 by recent guests! This is magical place! Excellent location and facilities, peaceful and relaxing, the staff are superb and they will make your stay perfect! Breakfast was amazing by the pool. 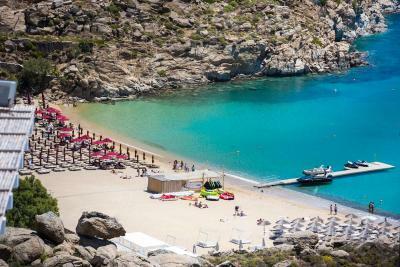 Hotel provides transportation to Mykonos town. Espectacular views of super paradise bay and the sea. Perfect location , beautifull Hotel Boutique , with lot of spots, the pool is perfect, nice restaurant and rhe room was big and very comfortable. Staff is incredible! 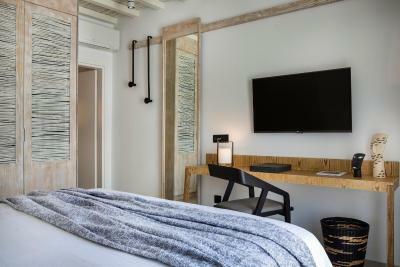 Attention to detail was beyond expectations in every facet from room decor to lighting to again the staff’s willingness to serve you. 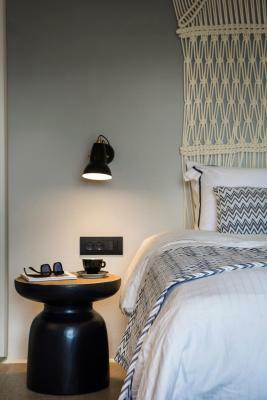 As a boutique hotel you instantly become recognized by the staff and they are there for your every need. Nam, the sushi chef is worth the stay alone for his tuna tartar. We can't recommend Lyo enough!! It's simply the best. 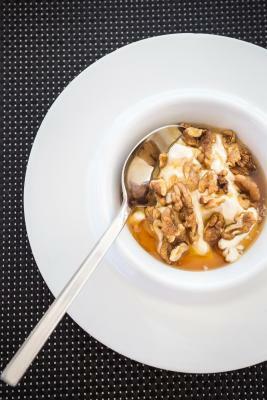 The staff are incredibly friendly, the breakfast phenomenal and the setting just stunning. This was the perfect place for our honeymoon & we really hope to return for one of our anniversaries. After Lyo all other hotels will be disappointing! The staff treats you like family, the property is beyond beautiful and the food is simple and delicious. 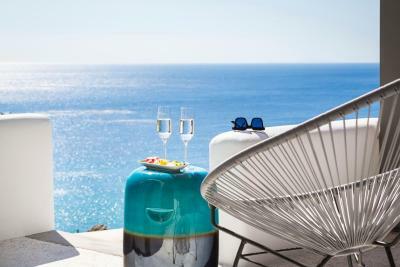 We would never stay anywhere else when in Mykonos! 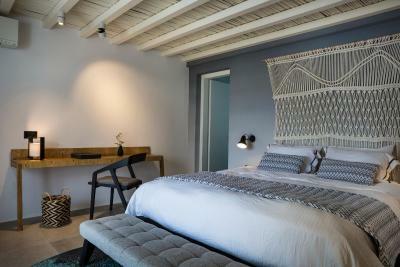 Everything, very stylish and the staff was the best we've ever experienced, everybody was super nice, cool and helpful. Very boutique and 200% recommended! This is a beautiful hotel..... very clean and picturesque ...... however it is a bit overrated.... we booked a seaside view room and the view on the balcony was obstructed from trees.... there was no view from the room.... the room was a bit dark and grim..... the pool and bar area were very nice! food was good and so were drinks! Roberto the shuttle driver is the best!! And the shuttle service is second to none because it is quite far from the main town about 15 - 20 mins so having a free shuttle is definitely a nice pleasantry. They also offer transportation from the port which is a plus because it quite a distance. Lovely view & facilities & great food & staff are fantastic. 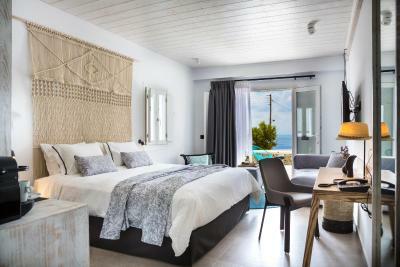 Lyo Boutique Hotel Mykonos This rating is a reflection of how the property compares to the industry standard when it comes to price, facilities and services available. It's based on a self-evaluation by the property. Use this rating to help choose your stay! 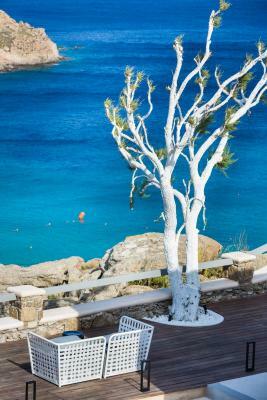 One of our top picks in Super Paradise Beach.Offering an outdoor pool and Aegean Sea views, Lyo Boutique Hotel Mykonos is set in the vibrant Super Paradise Beach in Mykonos. 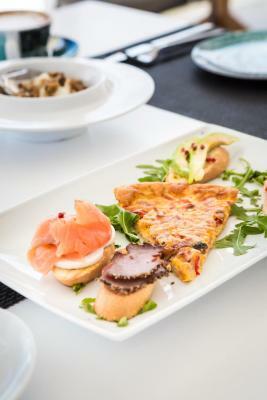 Premium tastes can be tasted at the on site restaurant, while the bar serves an abundance of refreshments. 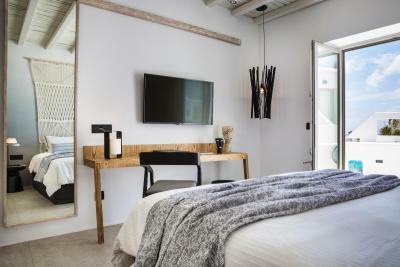 The well-appointed suites and rooms at Lyo Boutique Hotel Mykonos are equipped with a satellite, flat-screen TV. Each opens to a balcony with sea or pool views. Some feature their own hot tub. 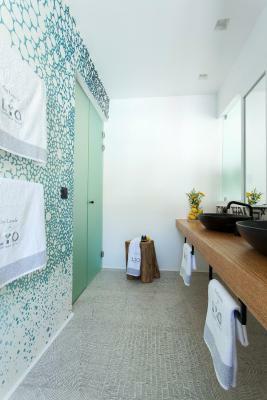 The elegant bathrooms are stocked with a shower, while free toiletries are also offered. Air conditioning comes standard. Free airport shuttle services are provided upon request. Massage treatments can be enjoyed at extra charge. Free WiFi is available throughout. The cosmopolitan center of Mykonos, boasting an array of lively bars and exclusive boutiques, is located within 3.7 mi of then property. The scenic Little Venice is at 3.1 mi. 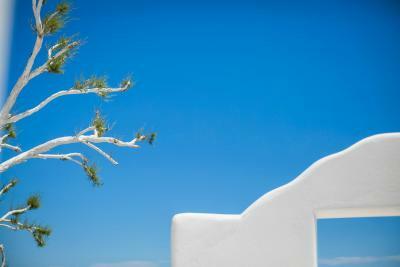 Mykonos Airport lies within 2.5 mi of Lyo Boutique Hotel. This property is also rated for the best value in Super Paradise Beach! Guests are getting more for their money when compared to other properties in this city. 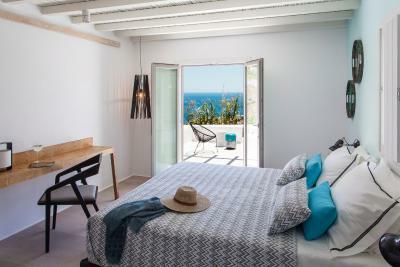 When would you like to stay at Lyo Boutique Hotel Mykonos? 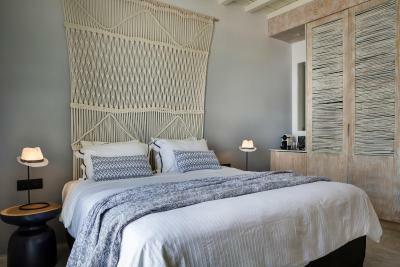 Deluxe Rooms open to a private balcony that overlooks the pool. 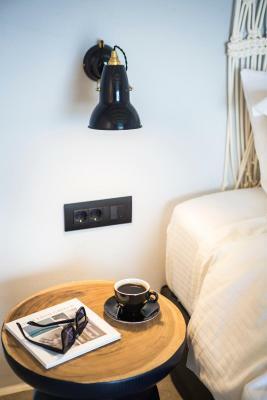 With a strong contemporary design, they are furnished in an eclectic style, and come with air conditioning, a satellite flat-screen TV, while the private bathroom features a shower and free toiletries. 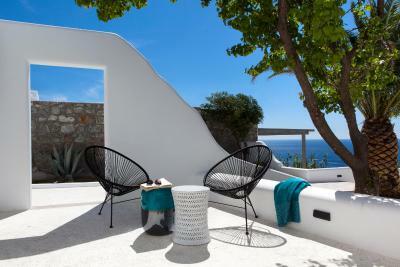 Classic Suites’ private veranda enjoys views of the Aegean Sea. Fully air-conditioned, with a satellite flat-screen TV and an private bathroom with shower and free toiletries. 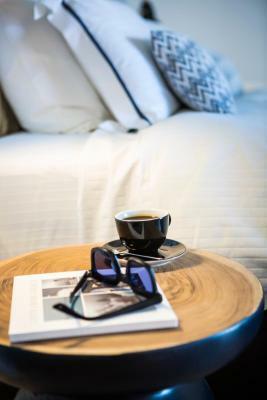 Superior Suites boast unrivaled sea views from the comfort of their private terrace, while the fully air-conditioned, whitewashed interiors are absolutely soothing. 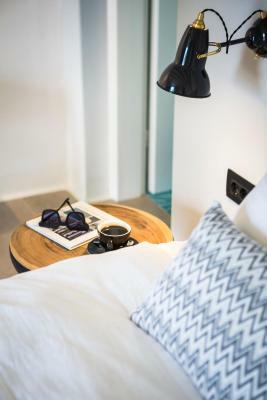 The private bathroom with shower includes free toiletries, while opposite the extra-large double bed you’ll find a flat-screen TV with satellite channels. 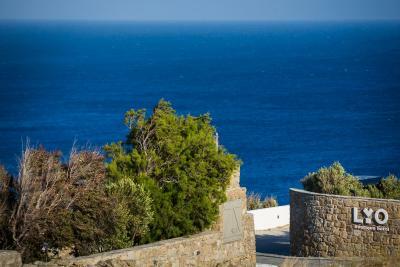 The outdoor hot tub is located on the suite’s private veranda and overlooks the Aegean Sea. 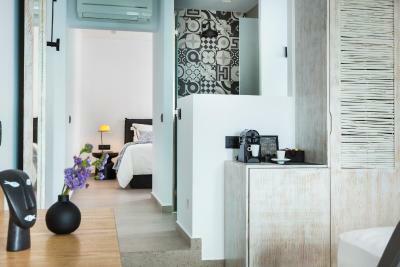 This luxurious, spacious suite allows for all urban modern comforts with its extra large double bed, air-conditioned interior and a flat-screen TV with satellite channels. 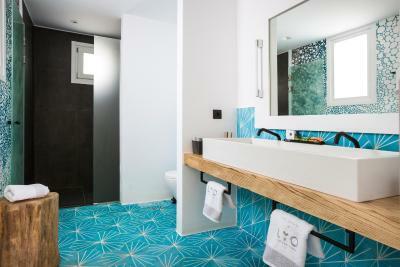 The private bathroom features touches of marble and free toiletries. 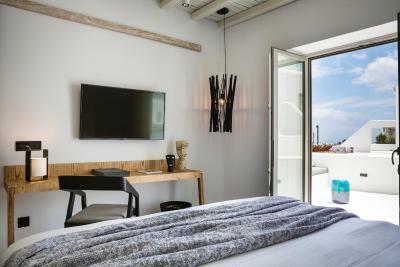 These suites provide all the modern comforts indoors, while boasting a private terrace with uninterrupted Aegean Sea views. 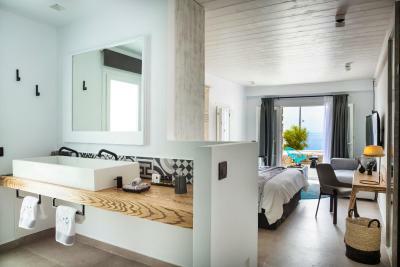 Designed with luxurious simplicity and contemporary textures in mind, the eclectic suite comes with a marble bathroom with a shower and the free quality toiletries. 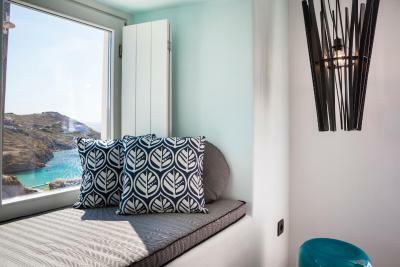 Designed to satisfy the highest standard and in complete harmony with the Cycladic colour palette, each of our spacious rooms & suites leads to offering you the ideal atmosphere, sea or pool view balcony to unwind and enjoy all the beauty of the natural surroundings, in a playful panorama of blissful visuals. 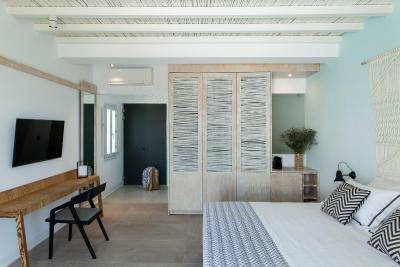 House Rules Lyo Boutique Hotel Mykonos takes special requests – add in the next step! 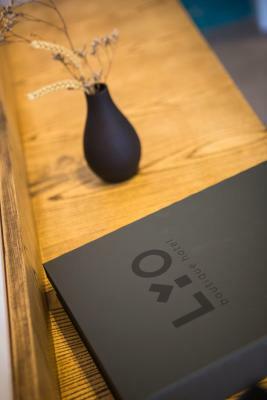 Lyo Boutique Hotel Mykonos accepts these cards and reserves the right to temporarily hold an amount prior to arrival. Not the best location if someone does not have a car. But for those who have one, then the location is perfect. Quiet and you can still get anywhere within a few minutes. To far away from town. The hotel provide a limited shuttle service that you pay for . This does cost less than taxis but because of its location I feel that the hotel should offer regular daily & nightly services to the main area’s. Perfect —beautiful, relaxing and comfortable. 1. Two-bedroom apartment and the second bedroom without a window (dark skylight in the ceiling). 2. Salt water in a tap. 3. No free drinking water. Only on the first day. In this class of the hotel it is embarrassing. 4. In the shower and in the toilet it smells of sewage system. Internet was very slow or didn't work at times. If you need to work, it might not be reliable. Everything! Great layout, comfortable room, friendly staff, good enough gym, varied food options in the restaurant! Will be definitely coming back in future! Amazing friendly welcoming staff, delicious food, excellent views, right on super paradise beach, but still tranquil and peaceful! Absolutely amazing hotel. 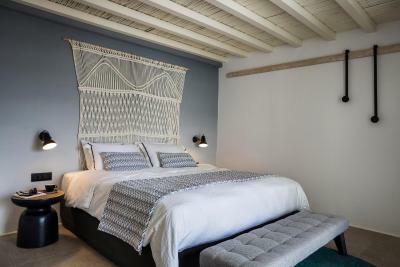 Decor of the whole place has been carefully designed and selected! Everything about Lyo ...pronounced Leo was FANTASTIC !!! Absolutely faultless from the room to the food to the unbelievable service culture of every staff member. From the Boss all the way to the cleaners ...nothing was too challenging for them. 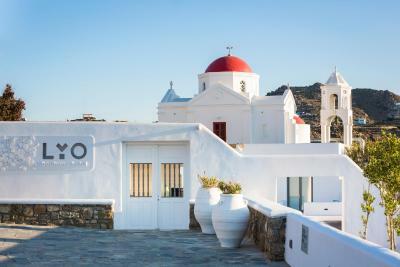 If you go to Mykonos ......Lyo is the ONLY place to stay.